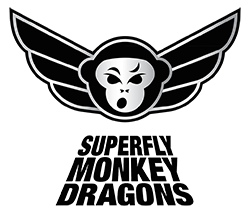 Superfly Monkey Dragons wants to make it easy and affordable for you to learn the amazing art of Parkour. As such, we are providing 2 basic membership programs based on how often you would like to train with us. We also offer a special rate for first-timers who would like to take a trial class. To Register and book in to a class – please go to our Registration Page. For information about our class cancellation policy, click here. Suited to those who wish to train regularly every week. *Fee varies depending on how many months you want to commit and payment options. $150 is for paying rolling monthly memberships with no contracts. Suited to those who would like to train at least once a week, but may not always have the time to come every week. The Pass gives you either 10 or 20hrs of tuition which must be used within a 3 or 6 month time frame respectively. And Learn 2 Flip X Passes are for students who have completed a Learn 2 Flip Course with us, but would like to return to practice their movement in ongoing courses. Purchase our Trial Passes, Learn 2 Flip passes, and Membership Packages here! I would like my son to master his body, in a fun way and outdoors. I think parkour could be the answer. Although he is very physical and fearless he is only three and a half years old. i would be there and take full responsability for his safety, but I am an older dad with weak knees, so I cannot stimulate him in this way myself. Would you be willing to accept him as a member on probation for a month? If at anytime you think he should quit and join at an later age, I will accept this. Is 11+ years old too young?? And is there any parkour trainings in Bukit Batok/ Gombak? We have many children taking our classes from ages 5 and up, so 11 is certainly not too young! At the moment we have no classes in Bukit Batok or Gombak – feel free to contact us at the Help Tab on your left to talk to us about classes and locations. Would be lovely to have you drop by for class! I’m based overseas and might be back in SG for a few weeks and i’m interested in the Learn2flip sessions. I see that the next available learn 2 flip 37 course begins Apr 9th 2015. As i’m not sure if i’m able to spend 5 weeks in Singapore and i might also miss the first date, i’m wondering if it’s possible to condense the sessions in any way and complete by end of April?